While estate planning is not something that anyone ever likes to consider, it is an important part of life and growing older. This is particularly true if you have children and dependants, as it’s imperative that you provide them with financial security in the future. Given the level of uncertainty that surrounds Brexit and the UK’s proposed exit from the European Union, it’s arguable that making these plans is more important than ever before. One of the biggest considerations is Inheritance Tax, as this can eat into your estate and reduce the amount that it ultimately left to your children. In this post, we’ll look at this in further detail and ask how you can minimise this. Before you can create a viable estate planning strategy, it’s important to understand the basic principles of Inheritance Tax. In simple terms, you will not be required to pay any Inheritance Tax if your estate is worth less than the IHT threshold of £325,000, or if you plan to leave your wealth to a spouse or exempt beneficiary (such as a registered charity). If your estate is worth more than this sum or you intend to distribute your estate more widely, however, you’ll be liable for taxation at a rate of 40%. This is fixed in law, while it represents a significant jump in instances where you have accumulated more wealth. With this knowledge in mind, you can begin to make a more informed decision about how to manage and plan your estate. You may also seek out expert advice from a reputable estate planning firm in order to establish a viable strategy that helps you to optimise and successfully leverage your wealth. According to the financial planning group Tilney, it’s also imperative that you make a last Will and testament. This helps to secure your long-term plans and safeguards your funds, while it also gives you control over how your estate is distributed even after you’ve passed away. Most importantly, this allows you to dictate precisely how your funds and assets are shared after your death and protects your intentions in the eyes of UK law. If you’re estate does boast a value in excess of £325,000, you may also want to consider ways of mitigating future taxation. 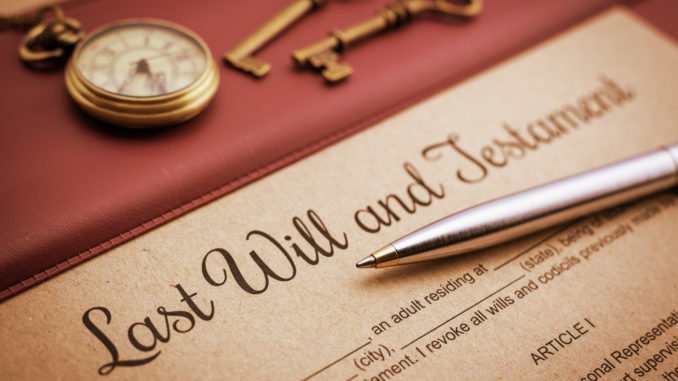 One way to achieve this is to consider gifting assets prior to your death, ensuring that beneficiaries receive elements of your estate ahead of time. Under current law, transfers of assets to younger relatives made seven years or more before your passing are exempt from taxation, so this can definitely play a crucial role when you begin planning your estate. Not only does this help you to distribute your estate efficiently, but it also reduces the risk that you’ll incur the 40% tax rate in the future.